Earlier this year the stories of two little girls in Page County were told through the local newspaper. 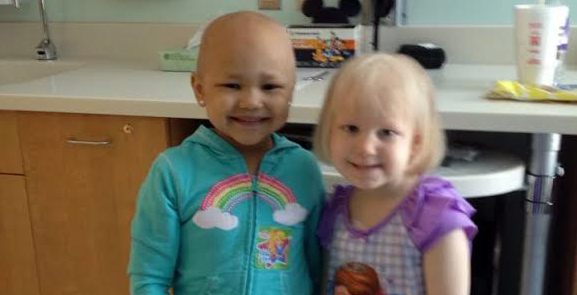 Both girls are battling ALL or Acute Lymphoblastic Leukemia. Chloe Fuller, 6, of Luray and Lexi Rucker, 4, of Shenandoah faced a long summer of treatments. 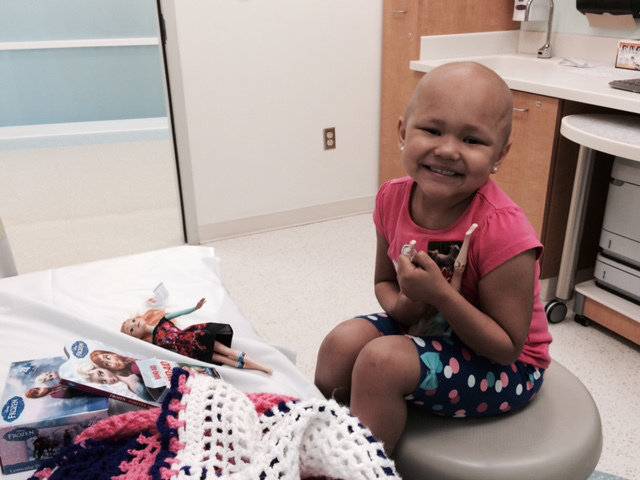 Chloe is currently on Maintenance therapy until Dec 2016 and Lexi has had a bone marrow transplant at Duke Hospital in June and will probably be there with her family until October. Even with a serious illness both girls continue to face life with endearing smiles and courageous determination. Chloe lives on a farm outside of Luray where she loves going for walks, riding her bike, feeding her cows and chickens and playing with her younger sister. Lexi is from the town of Shenandoah 20 minutes away. She is an enthusiastic ballerina and artist. Chloe, 6, receiving one of her treatments. Their story inspired “The Fabulous Funkmeyers”, a team of 3 triathletes participating in the Luray Sprint Triathlon in Luray, Virginia on August 16, 2015, to dedicate their race to them. 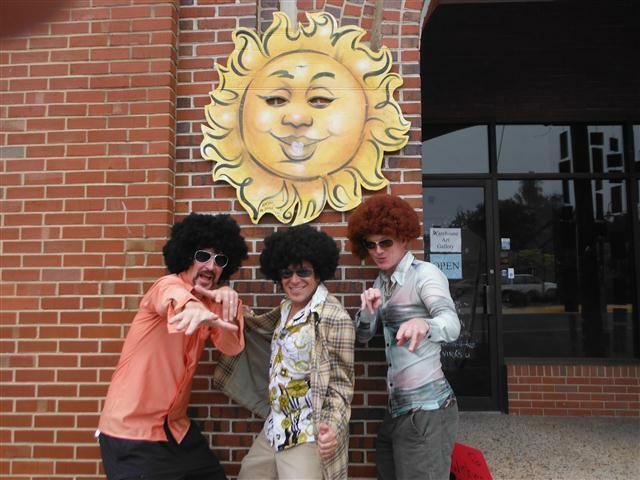 The Fabulous Funkmeyers consists of Frank, Felix, and Freddie, three middle aged men trapped in the late seventies, celebrating life, friendship, and hope! Their mission is to arouse awareness about this serious childhood illness! 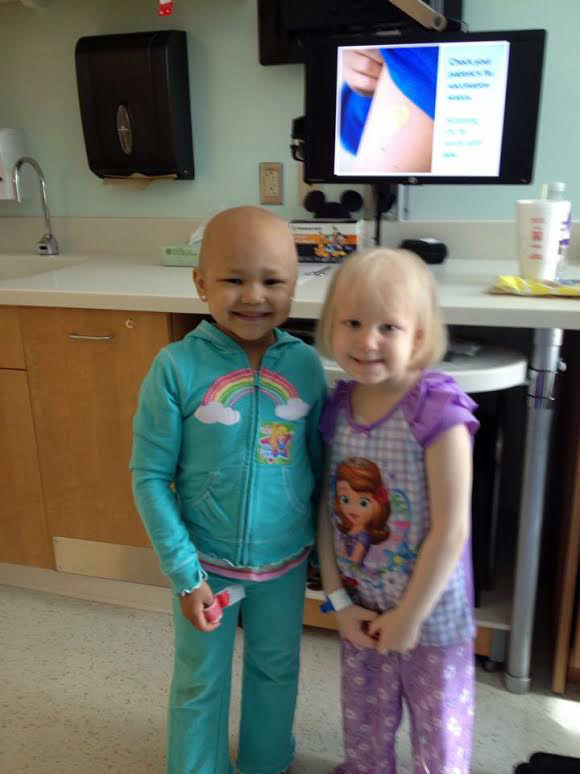 At the Luray Triathlon they will set up a Leukemia Awareness Tent sharing information about these two special girls. They will be raffling off several local pieces of art generously donated by area artists including some oil and watercolor paintings, pottery, media art, jewelry and some other goodies. They encourage everyone on race day to drop by their tent to support the cause and have a chance to win some really cool swag. Or to just hang out and meet the team. The Fabulous Funkmeyers won’t be the only triathletes participating in the Luray Triathlon that wish to bring awareness to this illness, as Chloe’s mom Katie will be participating in the Luray International Triathlon on August 15, 2015. ALL or Acute Lymphoblastic Leukemia is a quickly progressing type of blood cancer that starts from the white blood cells in the bone marrow and then quickly spreads to other parts of the body. Without treatment, it can be fatal within a few months, however most children with ALL are cured of their disease after treatment. Currently there is not a clear cause for this type of cancer. Chloe (left) and Lexi (right) at the hospital.